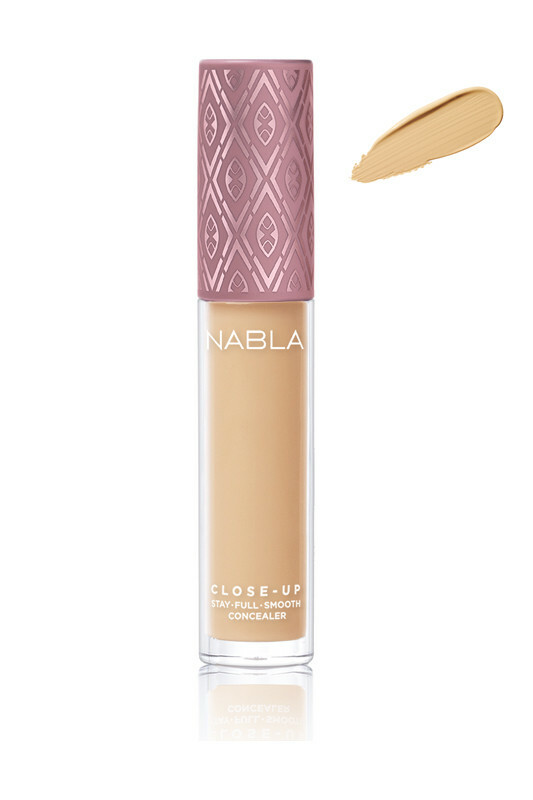 Nabla Vegan Close-Up Concealer is perfect for a luminous and flawless complexion! 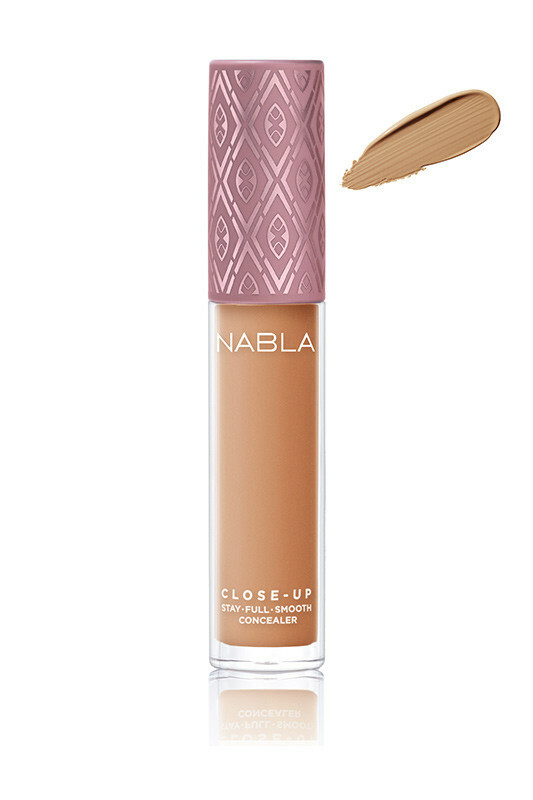 Full coverage long-lasting, it covers all skin imperfections such as dark circles and redness. Suitable for all skin types, thanks to sunflower wax and jojoba oil to take care of your skin. Its creamy texture provides a plumping and smooth effect to give a natural skin-like finish. The Nabla Long Lasting Corrector hides your little imperfections for an incredibly flawless complexion! 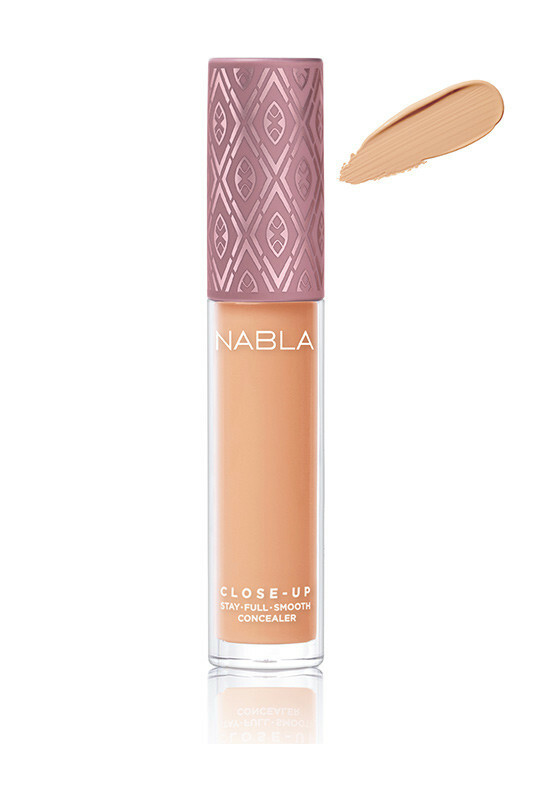 The Nabla CLOSE UP Corrector illuminates your skin! Use a little product to neutralize dark circles, it gives an effective coverage. Buildable for high coverage. The Nabla Close Up Concealer is suitable both to be applied with Nabla Concealer Brush or Nabla Sponge, the effect is extremely smooth. 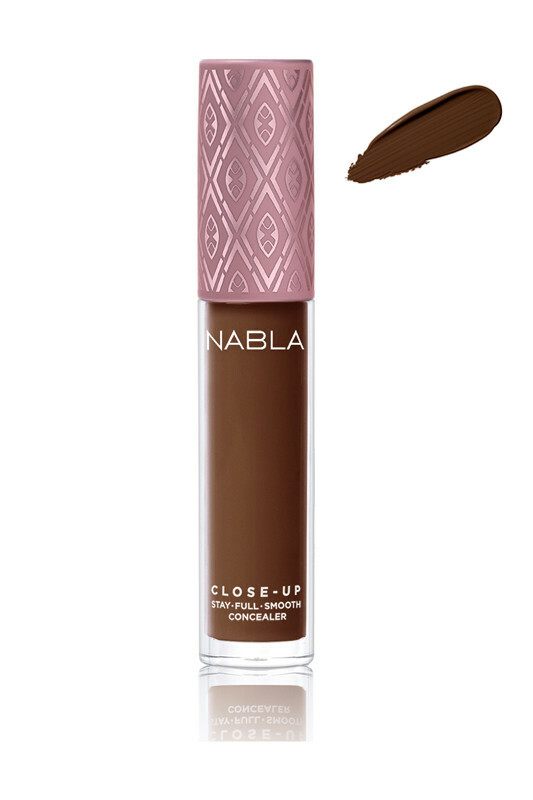 The shades of Nabla Vegan Close Up Concealer can also be mixed together. For optimal results, use Nabla Loose Powder. Discover the 9 Shades of Nabla Correctors! 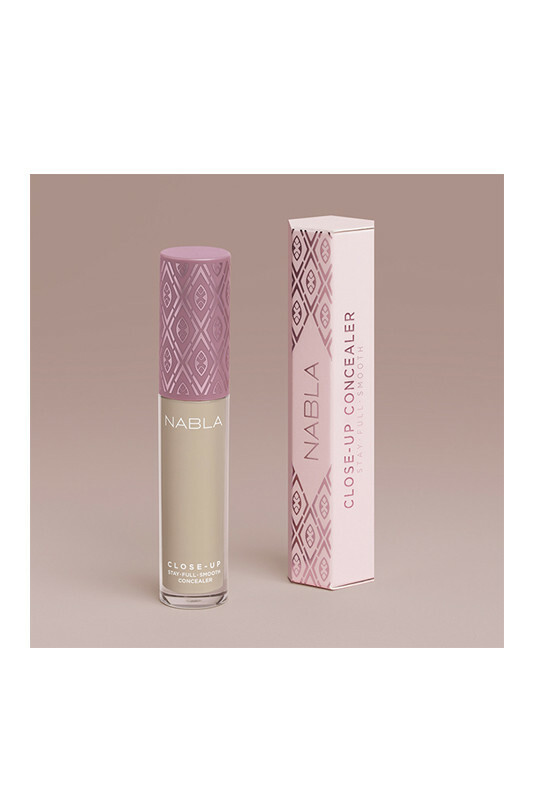 How to apply Nabla's Concealer? 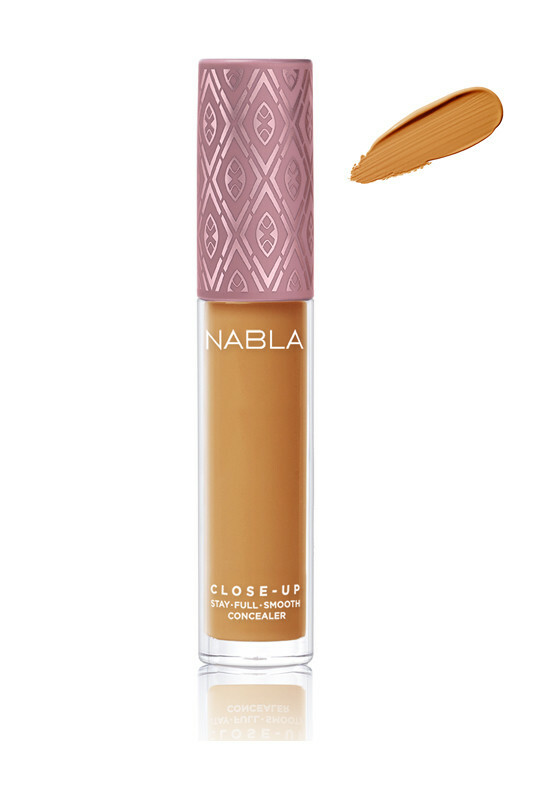 A natural effect with Nabla's CLOSE UP Vegan Correctors! INCI 01 Porcelain : aqua (water), dimethicone, trimethylsiloxysilicate, caprylyl methicone, isoamyl laurate, isododecane, butylene glycol, glycerin, mica, ethylhexyl palmitate, hdi/trimethylol hexyllactone crosspolymer, silica, peg/ppg-18/18 dimethicone, peg-10 dimethicone, hydrogenated lecithin, sodium chloride, quaternium-90 bentonite, c10-18 triglycerides, aroma (flavor), jojoba esters, caprylyl glycol, helianthus annuus seed cera (helianthus annuus (sunflower) seed wax), phenoxyethanol, dimethicone/vinyl dimethicone crosspolymer, potassium sorbate, sodium dehydroacetate, propylene carbonate, sodium gluconate, hexylene glycol, acacia decurrens flower cera (acacia decurrens flower wax), polyglycerin-3, quartz. +/− (may contain): ci 77891 (titanium dioxide), ci 77491 - ci 77492 - ci 77499 (iron oxides). INCI 02 Ivoiry : aqua (water), dimethicone, trimethylsiloxysilicate, caprylyl methicone, isoamyl laurate, isododecane, butylene glycol, glycerin, mica, ethylhexyl palmitate, hdi/trimethylol hexyllactone crosspolymer, silica, peg/ppg-18/18 dimethicone, peg-10 dimethicone, hydrogenated lecithin, sodium chloride, quaternium-90 bentonite, c10-18 triglycerides, aroma (flavor), jojoba esters, caprylyl glycol, helianthus annuus seed cera (helianthus annuus (sunflower) seed wax), phenoxyethanol, dimethicone/vinyl dimethicone crosspolymer, potassium sorbate, sodium dehydroacetate, propylene carbonate, sodium gluconate, hexylene glycol, acacia decurrens flower cera (acacia decurrens flower wax), polyglycerin-3, quartz. +/− (may contain): ci 77891 (titanium dioxide), ci 77491 - ci 77492 - ci 77499 (iron oxides). INCI 03 Light peach : aqua (water), dimethicone, trimethylsiloxysilicate, caprylyl methicone, isoamyl laurate, isododecane, butylene glycol, glycerin, mica, ethylhexyl palmitate, hdi/trimethylol hexyllactone crosspolymer, silica, peg/ppg-18/18 dimethicone, peg-10 dimethicone, hydrogenated lecithin, sodium chloride, quaternium-90 bentonite, c10-18 triglycerides, aroma (flavor), jojoba esters, caprylyl glycol, helianthus annuus seed cera (helianthus annuus (sunflower) seed wax), phenoxyethanol, dimethicone/vinyl dimethicone crosspolymer, potassium sorbate, sodium dehydroacetate, propylene carbonate, sodium gluconate, hexylene glycol, acacia decurrens flower cera (acacia decurrens flower wax), polyglycerin-3, quartz. +/− (may contain): ci 77891 (titanium dioxide), ci 77491 - ci 77492 - ci 77499 (iron oxides). INCI 04 Cream beige : aqua (water), dimethicone, trimethylsiloxysilicate, caprylyl methicone, isoamyl laurate, isododecane, butylene glycol, glycerin, mica, ethylhexyl palmitate, hdi/trimethylol hexyllactone crosspolymer, silica, peg/ppg-18/18 dimethicone, peg-10 dimethicone, hydrogenated lecithin, sodium chloride, quaternium-90 bentonite, c10-18 triglycerides, aroma (flavor), jojoba esters, caprylyl glycol, helianthus annuus seed cera (helianthus annuus (sunflower) seed wax), phenoxyethanol, dimethicone/vinyl dimethicone crosspolymer, potassium sorbate, sodium dehydroacetate, propylene carbonate, sodium gluconate, hexylene glycol, acacia decurrens flower cera (acacia decurrens flower wax), polyglycerin-3, quartz. +/− (may contain): ci 77891 (titanium dioxide), ci 77491 - ci 77492 - ci 77499 (iron oxides). INCI 05 Golden beige : aqua (water), dimethicone, trimethylsiloxysilicate, caprylyl methicone, isoamyl laurate, isododecane, butylene glycol, glycerin, mica, ethylhexyl palmitate, hdi/trimethylol hexyllactone crosspolymer, silica, peg/ppg-18/18 dimethicone, peg-10 dimethicone, hydrogenated lecithin, sodium chloride, quaternium-90 bentonite, c10-18 triglycerides, aroma (flavor), jojoba esters, caprylyl glycol, helianthus annuus seed cera (helianthus annuus (sunflower) seed wax), phenoxyethanol, dimethicone/vinyl dimethicone crosspolymer, potassium sorbate, sodium dehydroacetate, propylene carbonate, sodium gluconate, hexylene glycol, acacia decurrens flower cera (acacia decurrens flower wax), polyglycerin-3, quartz. +/− (may contain): ci 77891 (titanium dioxide), ci 77491 - ci 77492 - ci 77499 (iron oxides). INCI 06 Warm honey : aqua (water), dimethicone, trimethylsiloxysilicate, caprylyl methicone, isoamyl laurate, isododecane, butylene glycol, glycerin, mica, ethylhexyl palmitate, hdi/trimethylol hexyllactone crosspolymer, silica, peg/ppg-18/18 dimethicone, peg-10 dimethicone, hydrogenated lecithin, sodium chloride, quaternium-90 bentonite, c10-18 triglycerides, aroma (flavor), jojoba esters, caprylyl glycol, helianthus annuus seed cera (helianthus annuus (sunflower) seed wax), phenoxyethanol, dimethicone/vinyl dimethicone crosspolymer, potassium sorbate, sodium dehydroacetate, propylene carbonate, sodium gluconate, hexylene glycol, acacia decurrens flower cera (acacia decurrens flower wax), polyglycerin-3, quartz. +/− (may contain): ci 77891 (titanium dioxide), ci 77491 - ci 77492 - ci 77499 (iron oxides). INC 07 Almond : aqua (water), dimethicone, trimethylsiloxysilicate, caprylyl methicone, isoamyl laurate, isododecane, butylene glycol, glycerin, mica, ethylhexyl palmitate, hdi/trimethylol hexyllactone crosspolymer, silica, peg/ppg-18/18 dimethicone, peg-10 dimethicone, hydrogenated lecithin, sodium chloride, quaternium-90 bentonite, c10-18 triglycerides, aroma (flavor), jojoba esters, caprylyl glycol, helianthus annuus seed cera (helianthus annuus (sunflower) seed wax), phenoxyethanol, dimethicone/vinyl dimethicone crosspolymer, potassium sorbate, sodium dehydroacetate, propylene carbonate, sodium gluconate, hexylene glycol, acacia decurrens flower cera (acacia decurrens flower wax), polyglycerin-3, quartz. +/− (may contain): ci 77891 (titanium dioxide), ci 77491 - ci 77492 - ci 77499 (iron oxides). INCI 08 Mocha : aqua (water), dimethicone, trimethylsiloxysilicate, caprylyl methicone, isoamyl laurate, isododecane, butylene glycol, glycerin, mica, ethylhexyl palmitate, hdi/trimethylol hexyllactone crosspolymer, silica, peg/ppg-18/18 dimethicone, peg-10 dimethicone, hydrogenated lecithin, sodium chloride, quaternium-90 bentonite, c10-18 triglycerides, aroma (flavor), jojoba esters, caprylyl glycol, helianthus annuus seed cera (helianthus annuus (sunflower) seed wax), phenoxyethanol, dimethicone/vinyl dimethicone crosspolymer, potassium sorbate, sodium dehydroacetate, propylene carbonate, sodium gluconate, hexylene glycol, acacia decurrens flower cera (acacia decurrens flower wax), polyglycerin-3, quartz. +/− (may contain): ci 77891 (titanium dioxide), ci 77491 - ci 77492 - ci 77499 (iron oxides). INCI 09 Cocoa : aqua (water), dimethicone, trimethylsiloxysilicate, caprylyl methicone, isoamyl laurate, isododecane, butylene glycol, glycerin, mica, ethylhexyl palmitate, hdi/trimethylol hexyllactone crosspolymer, silica, peg/ppg-18/18 dimethicone, peg-10 dimethicone, hydrogenated lecithin, sodium chloride, quaternium-90 bentonite, c10-18 triglycerides, aroma (flavor), jojoba esters, caprylyl glycol, helianthus annuus seed cera (helianthus annuus (sunflower) seed wax), phenoxyethanol, dimethicone/vinyl dimethicone crosspolymer, potassium sorbate, sodium dehydroacetate, propylene carbonate, sodium gluconate, hexylene glycol, acacia decurrens flower cera (acacia decurrens flower wax), polyglycerin-3, quartz. +/− (may contain): ci 77891 (titanium dioxide), ci 77491 - ci 77492 - ci 77499 (iron oxides).